There are some unjustly forgotten orchid species. Such species, which once were quite popular for their beauty and easiness in cultivation, got forgotten just because of the advent of some more popular and trendy orchids, which are everywhere – in an advertisement, cinema, arts and design. However, some of such forgotten orchids were unbelievably popular at the dawn of orchid cultivation in XIX century – and now only few orchid enthusiasts know and grow them. I’m talking about Calanthe orchids. It is interesting that the first artificial orchid hybrid was of Calanthe origin – Calanthe Dominyi hybrid was created in 1853 by Mr Dominyi, who worked with famous Veitch, it was a hybrid between two species – Calanthe furcata and Calanthe masuca. The second artificial orchid hybrid was also of Calanthe – Calanthe Veitchii, a hybrid between Calanthe rosea and Calanthe vestita. You can wonder, how popular they were and how easy to grow them, because even in distant XIX century people managed not only to grow and make them bloom but also to hybridize them. 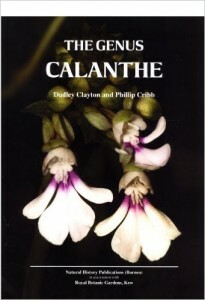 Calanthe orchids are terrestrials and sometimes lithophytic plants from Asia. They are sympodial orchids, and there are two subgenera, differing both in morphology and ecology. Calathe subgenus of Calanthe has evergreen leaves and small, tiny pseudobulbs, the type species is Calanthe triplicata, and Calanthe sylvatica, Calanthe alismaefolia, Calanthe argenteo-striata, Calanthe arisanensis are the other representatives of Calathe subgenus. The other subgenus – Preptanthe (so called deciduous Calanthe) has profound, often grey-green pseudobulbs and deciduous leaves. The most widely known species are Calanthe vestita and Calanthe rosea, as well as lovely Calanthe cardioglossa, Calanthe hirsute are also notable. Calanthe orchid care is extremely easy in both subgenera. They are warm and hot growing orchids, so they do not need cool and cold temperatures to thrive and bloom. They are orchids from shady places, so they don’t need extremely high light levels as needed for Vanda orchids, Cymbidiums and some Cattleyas – Calanthe orchids need the same light levels as for Phalaenopsis and Paphiopedilums. They are terrestrials, so they need a substrate for terrestrial orchids with sphagnum, cocoa chips, medium bark, perlite, but some grow them in common soil for African Violets perfectly, watering is the only difference between evergreen and deciduous Calanthe – evergreen Calanthes need the same care all year round, while deciduous Calanthes have short dry dormancy, when they drop their leaves off, so in this case you simply have to stop watering and fertilizing at all until a new growth is visible. They are very easy and forgiving orchids, and it’s a pity that they are not so popular as could be.